In lieu of flowers memorial donations may be made to help the family and left at the funeral home. 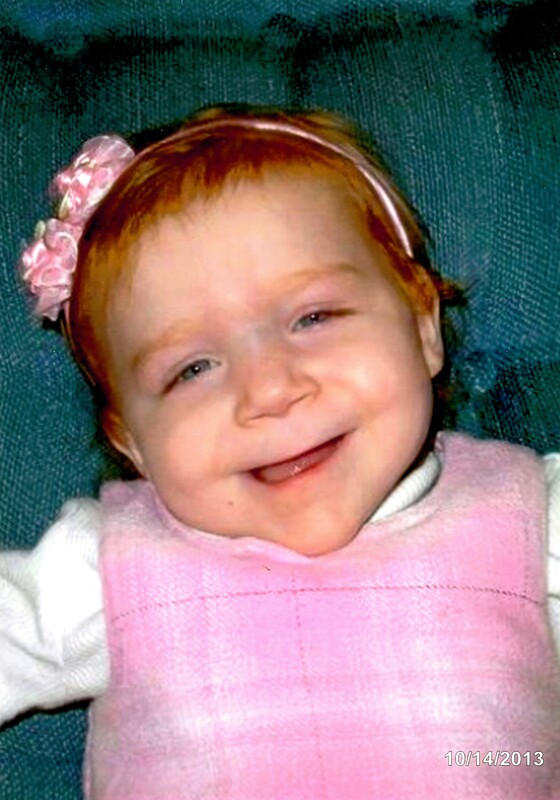 Syriana Adrian Carter, age 17 months, of El Dorado Springs, Missouri, passed away Friday, October 11, 2013. Syriana was born April 28, 2012, the daughter of Brandon Carter and Barb Cochran. Syriana was a very happy baby. She was always smiling. Syriana loved her sisters and brothers. When she wanted something to eat she would tell you “bite.” Syriana was always a cuddle bug. She would blow kisses and dance to music. Syriana was a beautiful little girl. Survivors include: her parents, Brandon Carter and Barb Cochran; her brothers and sisters, Shawn Logston, Elizabeth Logston, Jordan Carter, T.J. Carter, Kamera Cochran and Draven Cochran; and her grandparents, Sheri and Robert Vance and Linda and Larry Carter. Other survivors include: Tammy Baker and family; Curtis and Willis and family; Matt and Misty Yockey and family; Stacia Carter and family; her great-grandparents; and many other family and friends. Funeral services for Syriana Adrian Carter will be held on Wednesday, October 16, 2013, at 10:00 a.m. at Bland-Hackleman Funeral Home with Pastor Jack Daniels officiating. Janet Pike and Brenda Hill will provide music. Burial will follow in Love Cemetery under the direction of Bland-Hackleman Funeral Home. Pallbearers are Curtis Baker, Will Early, Matt Yockey, and Robert Vance.